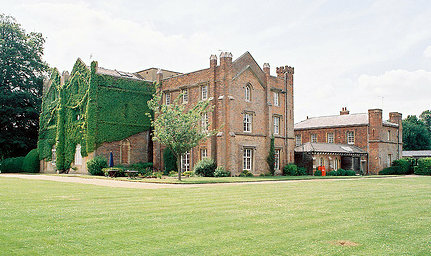 Offley Palace is said to have been built in the eighth century by the Saxon King Offa, from whom the village probably takes its name. 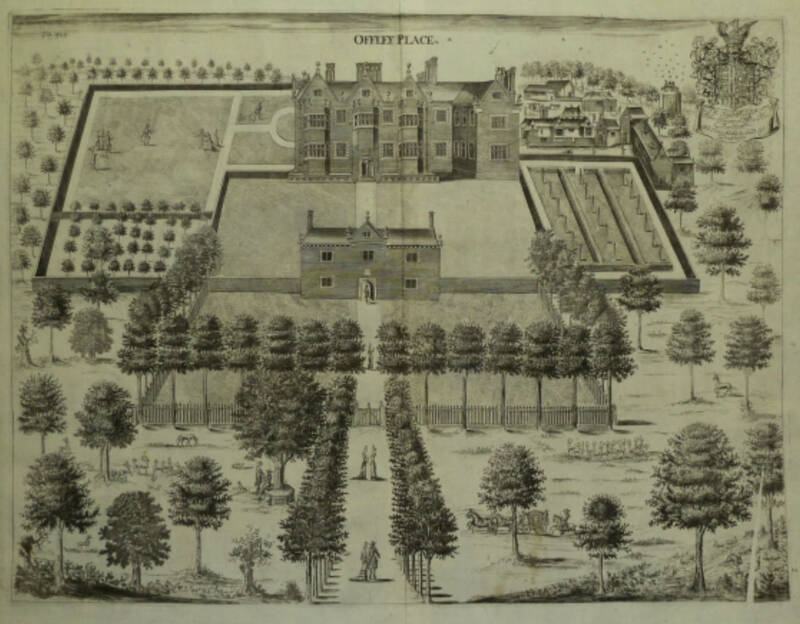 According to local legend, Offley Palace once stood where Offley Place, currently a training and conference centre, now stands in the Hertfordshire village of Great Offley. This was where Hester Lynch Thrale grew up and was first introduced to Henry Thrale. At this time (mid 1700's) it was owned by Sir Thomas Salusbury (Hester's uncle). 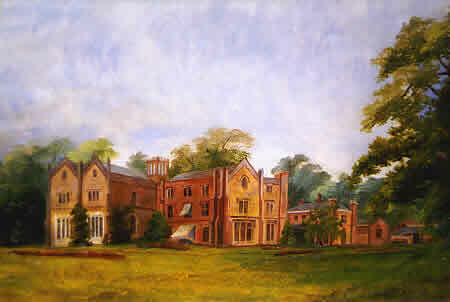 After the death of Sir Thomas Salusbury's first wife - Anne Maria Penrice - the estate would have been inherited by Hester as Salusbury's closest relative. However - much to Hester's disappointment, Salusbury married again to Mrs. King who inherited instead. The Great Ash Tree - much loved by Anne Maria Penrice - in Offley Park was brought down by a heavy storm in 1760. This was the subject of these verses by Hester Thrale. A year later - in 1761 - Hester Thrale wrote verses about Offley Place, and verses about the fall of the great ash tree at Offley Park in 1760. It was later home to George Hughes (1821-1872) and his wife, Anne Salusbury Hughes, daughter of Samuel Steward and Anne Salisbury. Your website is great! I am descended from the Salusbury Hughes family of Offley, my (deceased) grandfather being David Salusbury Hughes. My direct ancestors lived at Offley many years ago, so it's really amazing to read about them on your site. I just wanted to thank you for a great glimpse into my family's past, as my grandfather died not long after I was born and I don't know much about the history. Anyway, if I can be of any help to you in answering questions, fire away! My grandmother is still living and may have more of an idea about family members who preceded David.